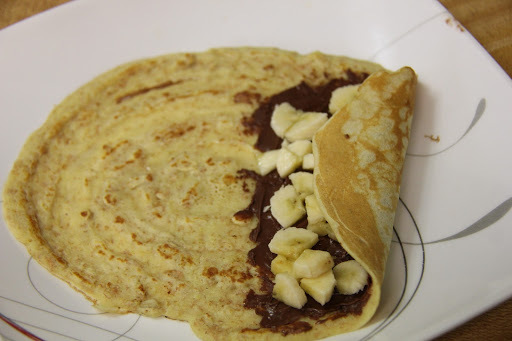 This is a sweet crepe with banana and nutella.Perfect when you want that sweet fix. 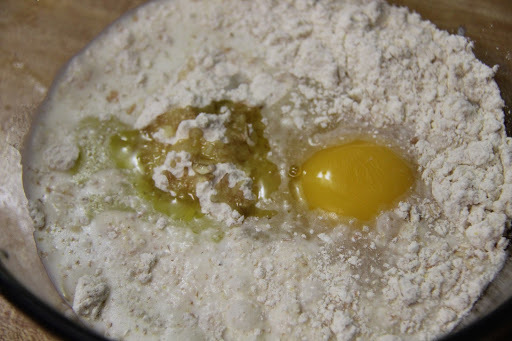 1.Take a bowl and add flour, milk, butter, salt and egg. 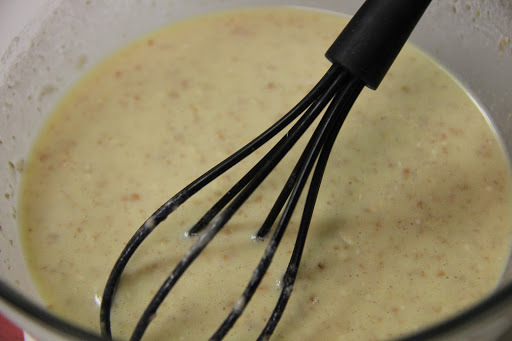 2.Whisk them until mixed, do not overmix. 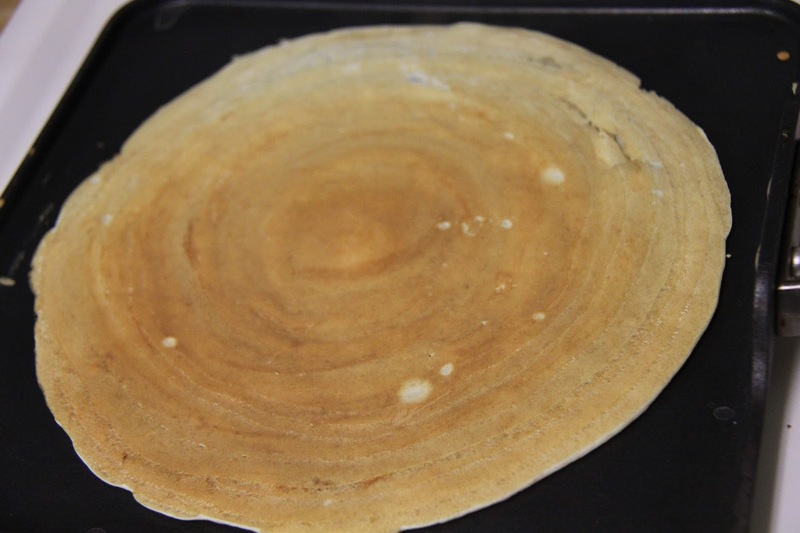 3.Heat a skillet on to medium-high.Pour 1/4 cup of batter and roll it into a crepe(if you have a crepe roller that will make it flatter and even). 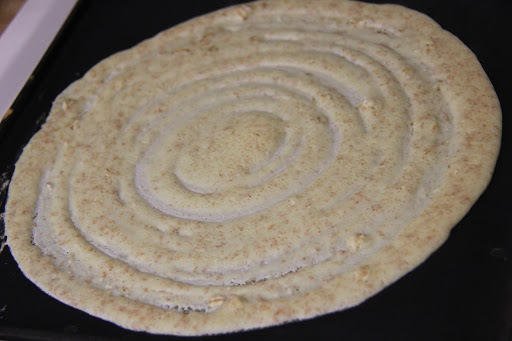 4.Let it cook on medium to low flame and flip and cook for a minute. 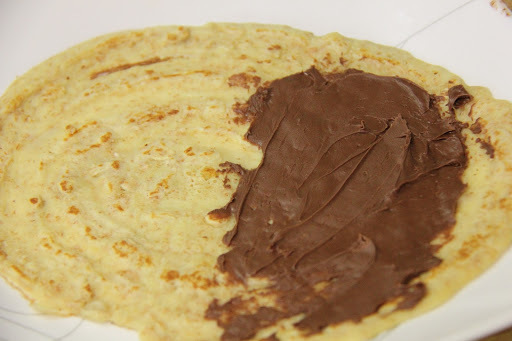 5.Place crepes on plate.Spread 1/2 tablespoon of Nutella on one side. 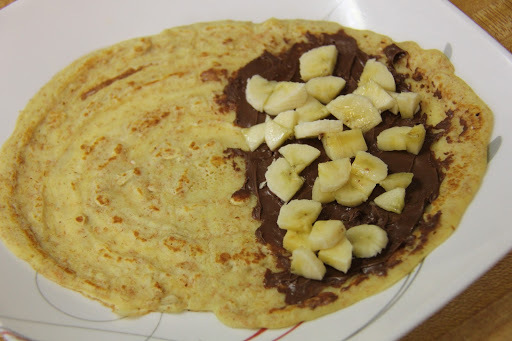 6.Add chopped banana pieces on top. 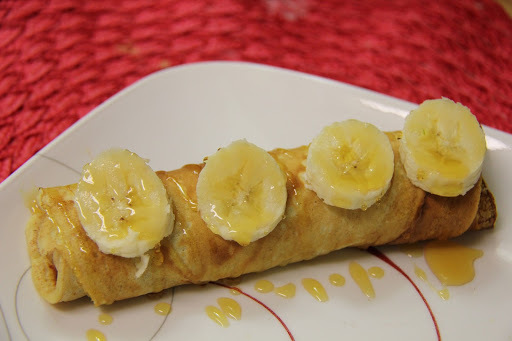 7..Now start rolling the crepe from one end to the other with the stuffing inside.Drizzle with some maple syrup and serve hot.